1. Bogota lies at 2640 meters above sea level which means, I have lived at a higher altitude than the highest peak in Poland in the Tatras Mountains – Rysy 2499 meters above sea level. 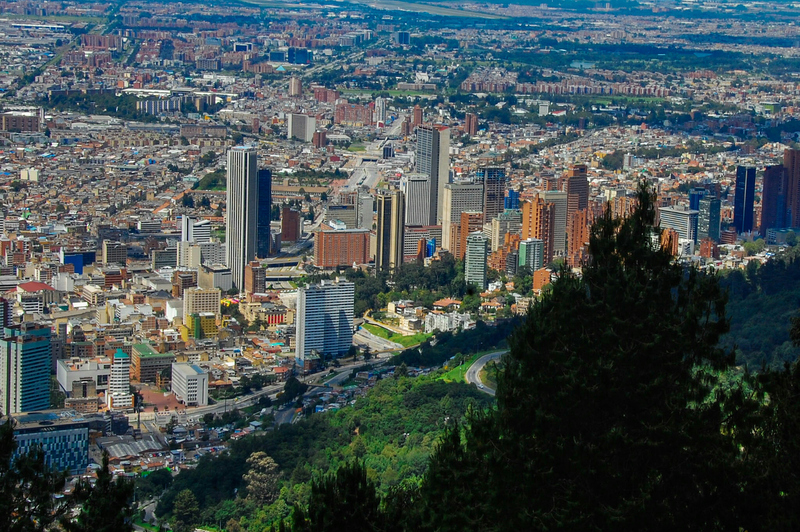 Bogota is the 3rd highest capital in South America after the capital of Bolivia – La Paz (3.650 m above sea level) and the capital of Ecuador – Quito (2.850 m above sea level). 2. There are no seasons in Bogota. 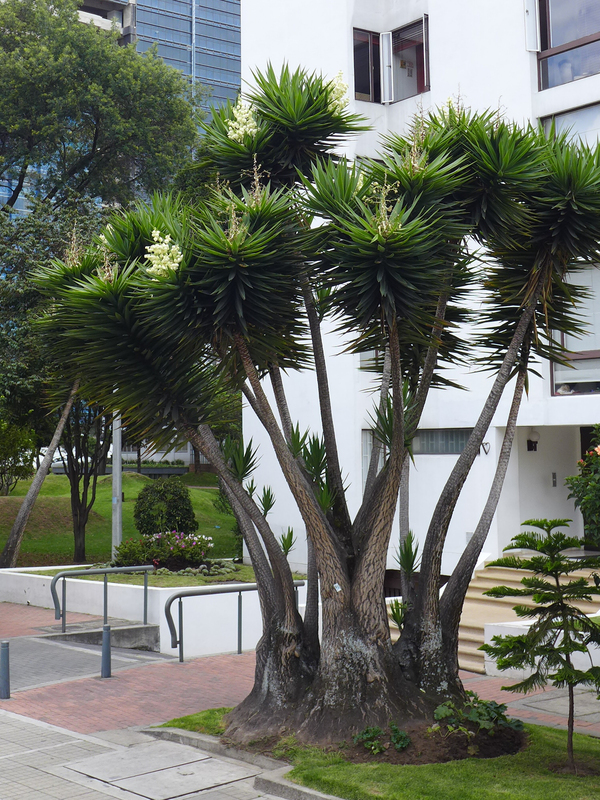 The weather in Bogota is the same all year round with average temperatures between 15-20º Celsius during the day. At night they may drop to 7-10º Celsius. The coldest month is July. August is called the ‘’Kite Month’’ when thanks to strong winds it is easy to fly kites. They can be bought all over the city from the street sellers. 3. 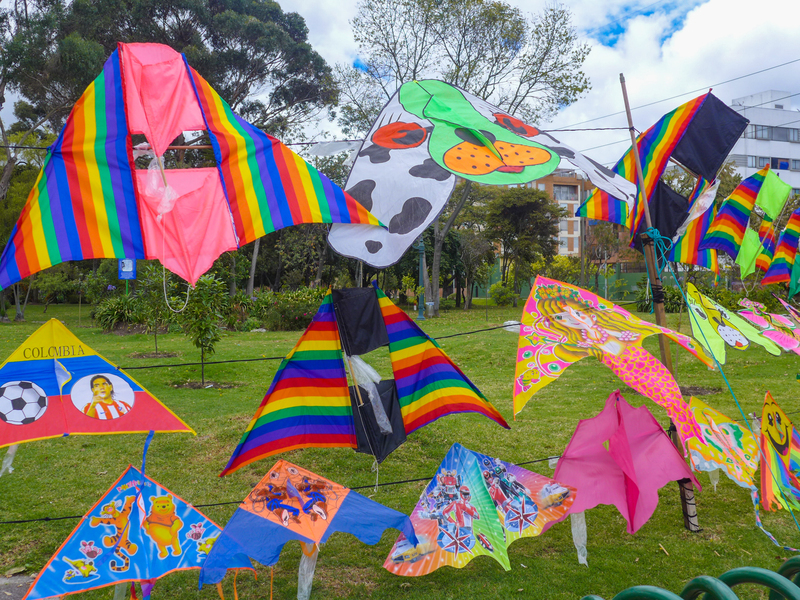 There are rainy seasons and dry seasons in Bogota. The rainy seasons are during the months of March to May and then September to November. The dry season is from late December till February (which does not mean that it does not rain at all, there are occasional showers of course). From my own experience I know that the sunnier it is in the morning the heaviest and longest the rain in the afternoon. Sometimes the rain is so heavy that the streets get flooded. The best weather is in December, January and February. It hardly ever rains and there are many sunny days. 4. Bogota is green all year round. It is common to see flowers in December, January and February. Picture taken in December. 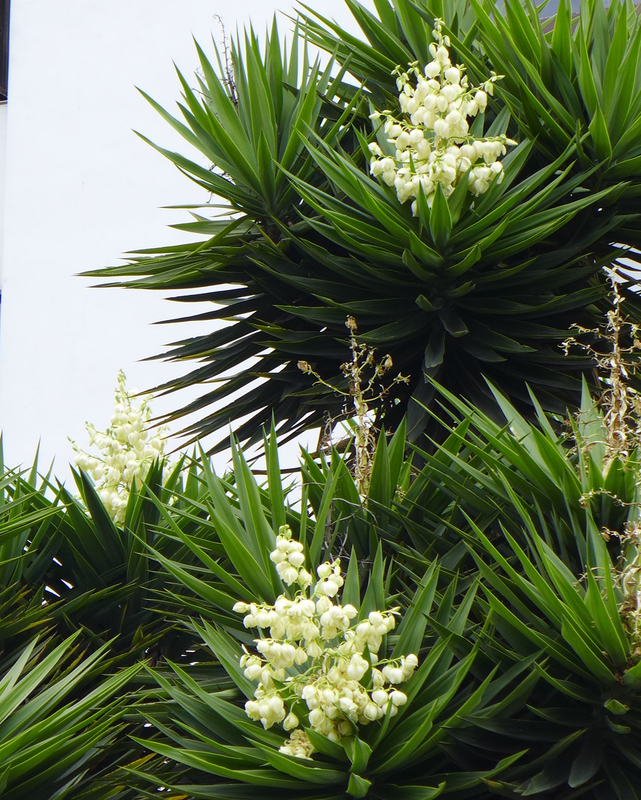 The tres is called Yucca elephantipes. 6. The sun rises at around 6 AM and the sun sets at around 6 PM all year round. There is no time change twice a year unlike in Europe. 7. The streets in Bogota have no names. They have numbers. It is very easy to locate a place without a map. 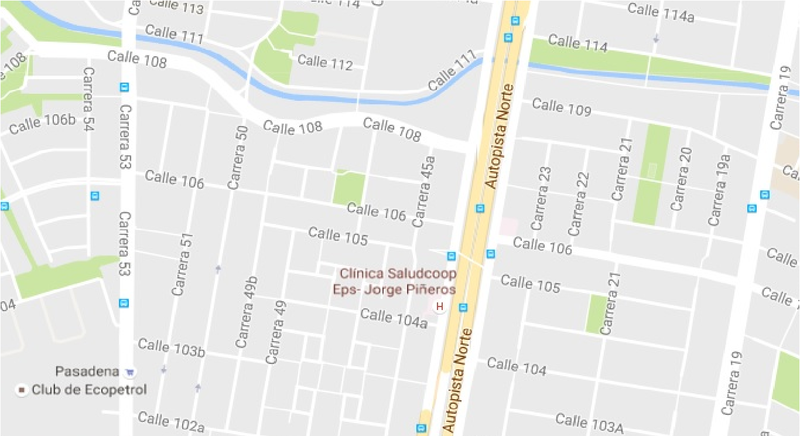 (The streets from south to north are called CARRERAS and those from east to west are called CALLES. And the diagonals streets to them are called transversales and DIAGONALES. 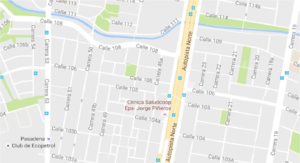 The addresses are given as follows: CRR 11#90-17 (someone who leaves at the street CARRERA 11, on the corner with CALLE 90, and 17 is the number of the block) or CALLE 90#11-17 (someone who lives at the street CALLE 90 on the corner with CARRERA 11 and 17 is the number of the block). Complicated, right? 8. The houses or flats in Bogota have no central heating. The temperatures drop at night, so a cosy blanket is a must. I used to lift the lace curtain on sunny days to heat up the sleeping rooms. I must say that it worked quite well. 9. There is a driving restriction in Bogota called ‘’pico y placa’’. It was introduced to reduce the traffic jam during rush hours. It means that driving vehicles with the odd last number on the license plate is restricted on odd days. And even numbers ending are restricted on even days. There are no restrictions on weekends. It might not be the best solution, as wealthier families get a second car with a different number to be able to drive every day. 10. 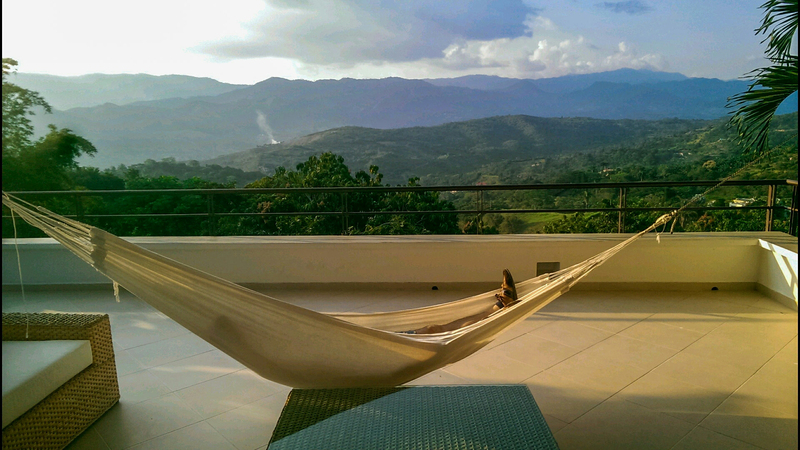 The towns near Bogota that are situated at a lower altitude are called in literal translation ‘’Hot Earth’’. They are 60-100 km away from Bogota. The weather is sunny and warm all year round. You can rent there luxury villas or houses with a pool for weekends or holidays. Once we needed 4 hours to get to a town 90 km from Bogota. Most of the time we spent in the traffic jam trying to get out of Bogota. Afterwards the curvy, mountain road didn’t let us drive much faster. You realize it was all worth the ride when the next day you have the swimming pool for yourself and you can enjoy beautiful views of the area as the houses are usually a top of a hill.